Showcase your brand to a wider audience at New Hampshire's largest Business to Business networking event. N.H.'s signature B2B Expo has drawn the state's premier business leaders together for more than three decades. 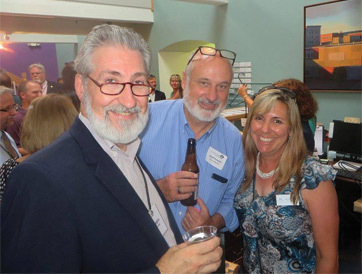 Named “New Hampshire's Best Networking Event” by New Hampshire Business Review, Tri-City Expo is known for its great energy, food and outstanding networking opportunities. 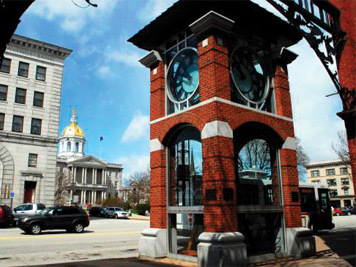 Join the Concord, Manchester and Nashua Chambers of Commerce for Tri-City Expo 2019 on Thursday, September 26 from 3-7 p.m. at the Center of NH Expo Center in Manchester. Please check back for details about the 2019 Tri-City Expo! You can also follow our social media pages for future updates (Facebook, Twitter, Instagram and LinkedIn). As a member of the Greater Concord Chamber of Commerce, you are uniquely positioned to enhance your brand recognition by sponsoring chamber events like Tri-City Expo. Please contact Events Manager Bryanna Marceau at bmarceau@concordnhchamber.com if you would like to get involved next year.